The Status Game, Begging For a Remix | Create. Communicate. Connect. On the Making Learning Connected hangout tonight, the conversation about hacking games, as well as Kim Douillard’s story about an amazing Monopoly remix, reminded me of one of the oldest improv games I know. I’m sure it goes by many different names, but I learned it as The Status Game. Thanks to the structure provided by a deck of cards and a clear objective, this it a fairly easy improv for students to play. The open-ended nature of the game – that it can take place at any time, at any place, for any length of time – makes it ripe for hacking and remixing, I think! These cards need not apply. 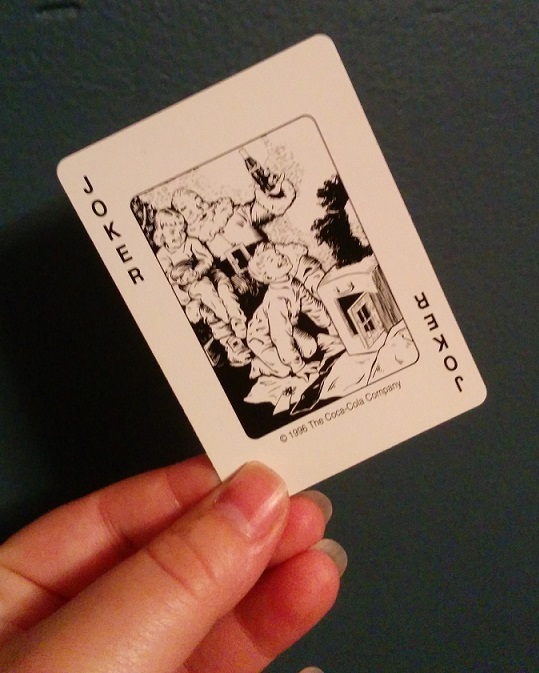 Needed: A deck of cards, with Jacks, Queens, Kings, and Aces removed. Asking students to offer definitions of status, and having the class vote on one that they can all agree upon. Or asking students to generate a list of people they think have a low status, and people they think have a high status. To ensure that these lists aren’t populated with actual students from the class or the school at large, ask them to do so through the lens of famous people, historical figures, characters from fairy tales, etc. Once there is a working understanding of status in the classroom, generate a short list of social occasions where status is important (like prom, for example). Have the students vote on one that they feel comfortable exploring further. Walk around with the deck of cards, face down. 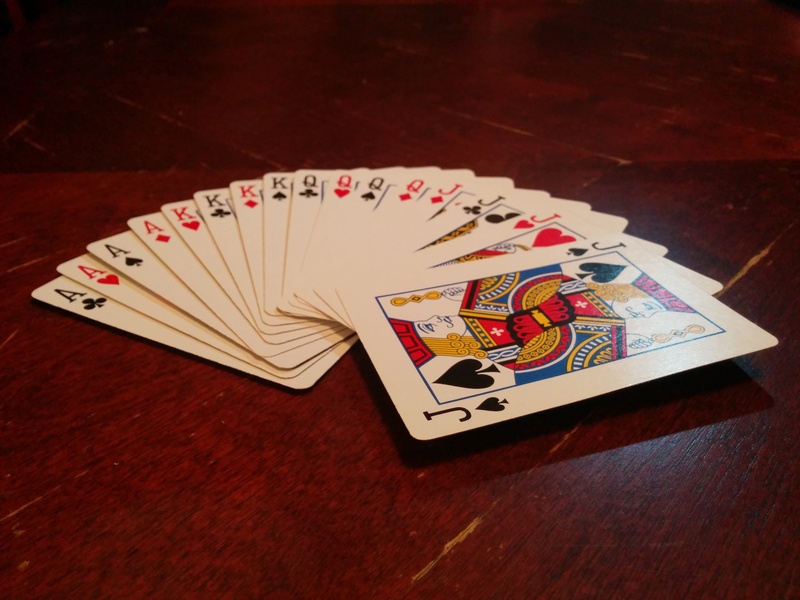 Have each student select a card from the deck and hold it to his or her forehead WITHOUT LOOKING AT IT, so that everyone else can see it. Start the improvisation simply by asking students to split up into two lines on opposite sides of the room, standing so that they are facing the line across from them. Tell them that when you say go, they should cross the room like they are entering the party and greet people as they walk by based on their status (Treat a 2 like a 2, a 10 like a 10). When they are done crossing the room, the scene ends. Do a second practice round, asking them to compliment people (in typical party fashion) based on their status. Again, when they reach the other side of the room the scene is over. Set a timer for three minutes (or more), and tell the students that when you say go, the party begins. They have only three minutes to socialize with other guests at the party to try and figure out their own status. Because that is everyone’s goal, emphasize that it’s really important to CLEARLY treat others at the party their status (again, while being respectful). If students feel they need a conversation starter, tell them they can start conversations by greeting others in the room and giving them a compliment (just as was practiced in the cross-the-room portion) and see where the conversation goes from there. At the end of three minutes, ask students form a line that goes from lowest status to highest status based on their best guess about their own status. Starting with the student who believes they have the lowest status, have students finally look at their cards and say the number out loud to see if everyone guessed right. Conduct a reflection on status. Some questions to ask might be, “How were you able to guess your status?” “How did it feel to treat people by their status only?” “What physical cues did you pick up on form others that gave you a clue about your status? Verbal?” and so on. I’ve seen this game used as a warm-up for playwriting, as an acting exercise, and as a way in to talk about power dynamics in day-to-day relationships (in the vein of Theatre of the Oppressed), but I have no doubt there are tons of hacks that would make it great for other purposes, too. So what are they? Let me know in the comments how you might put The Status Game to work!